Cebu Pacific is a low-cost air carrier from the Philippines that was founded in 1988 but did not commence operations until 1996. 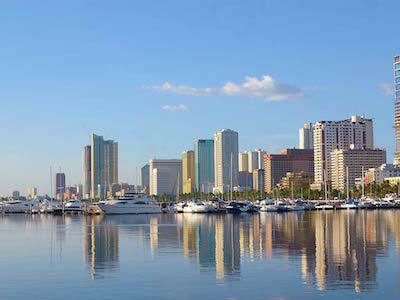 Its headquarters are in Manila, the capital of the Philippines, while its main operations hub is at Ninoy Aquino International Airport, close to the city. It also has additional centres at Mactan Cebu International Airport, Kalibo International Airport, Iloilo International Airport, Francisco Bangoy International Airport and Kalibo International Airport. It maintains a fleet of more than 50 Airbus and ATR aircraft. Cebu Pacific flights serve a total of 60 international and domestic destinations throughout the world. 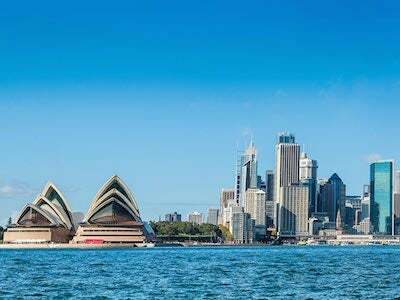 Many of its flights are to popular tourist destinations in Asia, such as Bali, Bangkok, Macau and Jakarta, and it also covers destinations in Australia and the Middle East. It also has a codeshare agreement with Garuda Indonesia on the Manila to Jakarta route. It is a member of Value Alliance, an airline alliance specifically for low-cost airlines. Online check-in for Cebu Pacific flights opens 72 hours prior to the scheduled takeoff time, and closes 2 hours before a domestic flight or 4 hours before an international flight. During online check-in, passengers can choose their seat and print their boarding card. Passengers will need to use their booking confirmation or e-ticket number to access online check-in. This service is not available for children travelling unaccompanied, women in the later stages of pregnancy, group bookings with 10 or more passengers, passengers who require extra assistance at the airport or passengers travelling with a young child. Passengers can also check in at the airport, either at a check-in counter or at one of the airline's self-service kiosks. Hand luggage on a Cebu Pacific flight is limited to 1 item with a maximum weight of 7 kg per passenger. The maximum size for this item also depends on the type of plane being used for the passenger's flight. On Airbus planes, hand luggage is allowed up to 56 x 36 x 23 cm in size. On ATR planes, hand luggage may be carried on board up to 56 x 35 x 20 cm in size. Hand luggage that is larger than these maximum dimensions or that exceeds 7 kg in weight will have to be checked in to the hold instead of being carried in the cabin. The passenger can be charged for this. Cebu Pacific does not include a checked luggage allowance in its ticket prices. Instead, passengers can choose to add a Small, Standard, Large or Large Plus baggage allowance when making their booking. Small is up to 15 kg, Standard is up to 20 kg, Large is up to 30 kg and Large Plus is up to 40 kg. The maximum allowance on flight using an ATR plane is 20 kg. Passengers can add or increase their checked luggage allowance any time until 4 hours before their flight, whether online or by phoning the airline. Passengers that are deemed to be exceeding their allowance will be charged. The airline will not carry any item of luggage weighing more than 30 kg for health and safety reasons. All good except they charged me 1000peso for baggage when I had 20kg on my ticket That certainly is not on. Therefore I will be trying to claim this back. Cebu does not accept visa cards on flights. They only accept US Dollars in cash . not good if you are a UK citizen and travelling for 8hrs.